Artificial turf requires no water or ongoing maintenance to continue looking good. 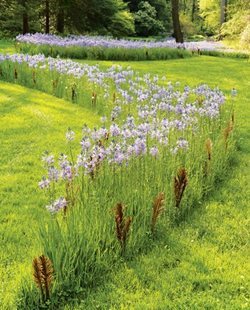 Since you don’t need to water or mow, you can create skinny strips or tight curves that might be difficult to maintain using living grass. Artificial turf comes on a roll, so circles and curves cost more because you still need to pay for the corners you cut off. 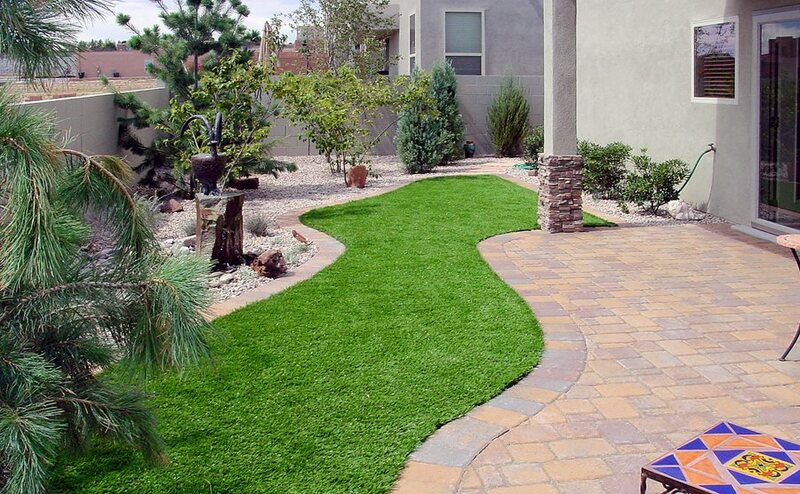 Artificial turf costs about $8-$12 per square foot, double the cost of a sod lawn installed with a sprinkler system. Though artificial turf is the most expensive type of turf to install, you save a lot of money on your water bill and on ongoing maintenance, since artificial turf lasts a long time (it is warrantied against fading for 10 years) and requires almost no care. 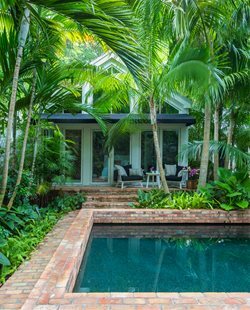 If you live in an area with limited natural rainfall or where water is rationed, artificial turf is an environmentally responsible way of enjoying your outdoor space while minimizing your use of natural resources. Artificial turf has come a long way in recent years, and manufacturers have developed a number of ways of making artificial turf look more like the real thing. 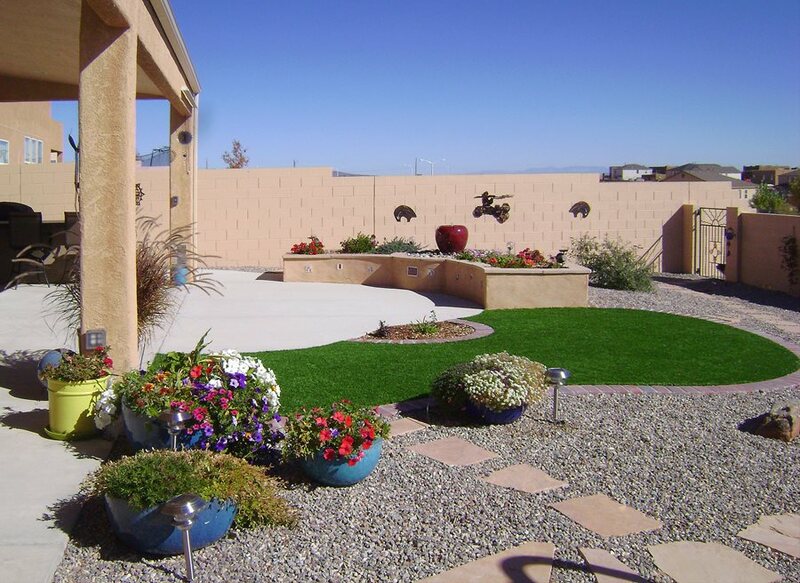 “It’s not the Astroturf your father used to see,” says Steve Biernacki of WaterQuest, Inc. in Albuquerque, NM. 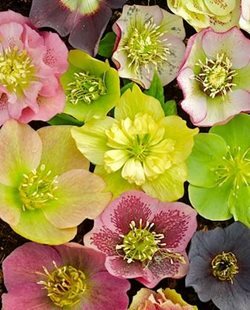 “There are different heights and different colors, so it looks much more natural.” However, it’s not right for every situation. 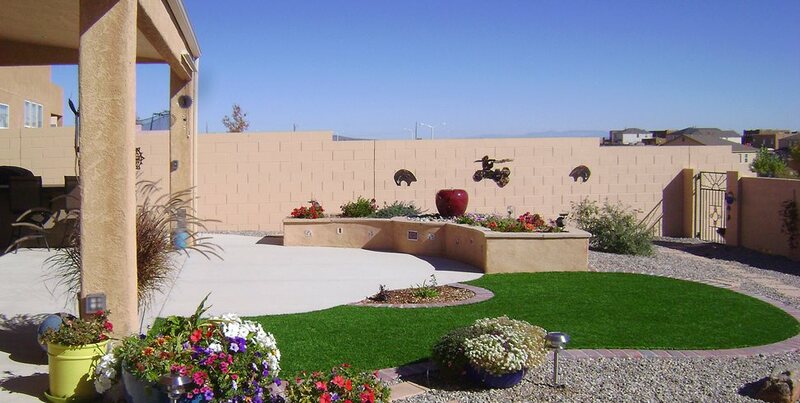 Learn more about when to choose artificial turf. 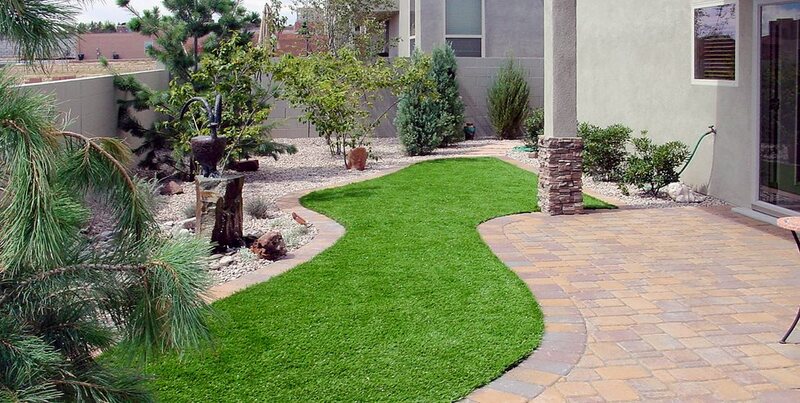 Installing artificial turf costs about twice as much as installing a sod lawn with sprinklers. 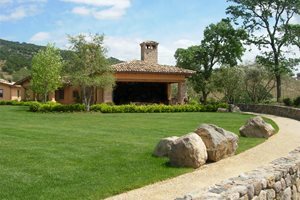 For this reason, many people use artificial turf to create lawn areas only in the places where they plan on entertaining, walking, or actually using the lawn. Artificial turf won’t develop spots or bare patches due to pet urine, and is less susceptible to digging or damage from dogs. In addition, cleaning up pet messes is a simple matter on artificial turf since it drains well and can be washed easily. The nylon or polymer used to make artificial grass can heat up in the sunshine, which can be painful on Fido’s paws. Artificial turf is most pet-friendly when it is in the shade. 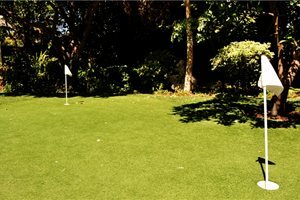 Trees can easily be planted within artificial turf. 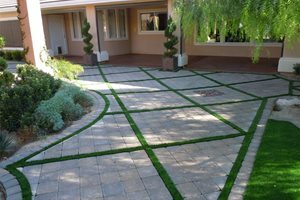 Though you’ll need to create a tree ring with irrigation and no base rock, trees will grow beautifully surrounded by artificial grass. By contrast, trees can pose a challenge to the health of living turfgrass. While artificial turf is becoming more beautiful every year, it still doesn’t look and feel 100% identical to a living lawn. When considering artificial turf, it’s a good idea to view samples from multiple manufacturers to choose the one that looks best to you. Pro Tip: When using artificial turf, keep in mind that the material comes in rolls that are essentially very long, skinny rectangles. Biernacki points out, “If you’re creating a circular space, you still have to pay for the corners you cut off.” While about 10 to 15% waste is factored into the price of installation, unusual shapes or curves may increase the cost. The installation process for artificial turf is similar to that of a sod lawn, with just a few key differences. Begin by lowering the existing grade to about 4 inches below your desired finished grade, such as the level of your patio. Install edging materials such as brick, steel, concrete curbing, or plastic bender board. Biernacki uses a 4 inch layer of crushed rock or road base underneath artificial turf. Tamp it down firmly for the most even surface. Roll out artificial turf on the prepared surface. Connect any seams using the specially-designed tape meant for that purpose. When joining two strips of artificial turf, make sure the blades of grass are standing in the same direction. Pull the turf taut and secure it around the edges using 8 inch galvanized nails every 6 inches. This is called “spiking it in”. If desired, add infill materials such as rubber pellets or sand. Rubber pellets feel nice to walk on in areas with high foot traffic, while sand looks nice because it obscures the weave of the artificial turf. However, the choice to use infill is primarily an aesthetic one, and it’s not necessary. Use a gas-powered broom to brush the nap into an upright position and give it a natural appearance.